Learn from UGA researchers who are exploring new concepts of “reality” using emerging technologies in Extended Reality, including Augmented Reality, Mixed Reality, Virtual Reality, and Locative Media. 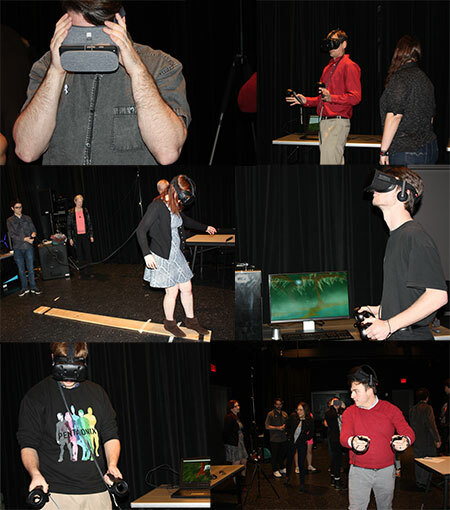 Panel discussion and showcase of extended reality demos by the panelists using HTC Vive, Oculus Rift, Google Daydream, and more. A shipwreck on an island could have been a disaster, but it worked out pretty well for University of Georgia College of Education junior Kelsey Brown. The play is distinct in that it combines the arts with science and engineering concepts, and its ticketed performances this spring will also feature an innovative extra: make-space stations where the audience can create new things from recycled items. The story follows the adventures of three siblings who set out on their boat but get shipwrecked on an island. While there, they meet up with another marooned child and begin inventing things to help with their rescue. The Children’s Theatre Troupe is one of Brown’s passions, and she said they have made an effort in recent years to push the boundaries of their shows. 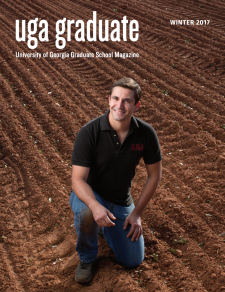 For example, a performance last fall for elementary students through the Experience UGA program used projections and digital graphics to help tell the story. With “Treasure Island,” Brown said they plan to take the show on the road for several performances, so the set needs to be portable. And because the students are used to being budget-conscious, using upcycled materials fits with the sustainability aesthetic. A nugget of inspiration for the show came from a class Brown took with College of Education instructor Gretchen Thomas, who teaches a maker-space class open to all majors. This semester’s class is collaborating with Brown on the play to collect reusable materials and develop the makerspace stations for them. “Another Kid’s Treasure Island” will be performed April 23 to 25 at the UGA Fine Arts Building, and special outdoor performances at 10 a.m. and 2 p.m. April 23 at the State Botanical Garden of Georgia. Tickets are $5 (cash only) for all performances; children younger than 12 are free. The troupe also plans a show at Scottish Rite Hospital in Atlanta and a few other locations around Athens. Brown said the combination of theater and technology might seem strange, but it’s actually a perfect combination — and one that will please a larger audience. “So many of the concepts in theater are important in engineering, experimenting and even coding. That’s kind of what the original intent behind this collaboration was,” she said. “I’m sure there’s no sustainability or entrepreneurial guru saying, ‘No, we don’t want children to learn this.’ Teachers, engineers and professionals alike are always looking for an outlet to teach STEM skills to the next generation, and theater is the perfect medium. In 1952, a decade before the first Apollo missions and 25 years before our introduction to the Rebel Alliance, Herman “Sonny” Poole Blount legally changed his name to Le Sony’r Ra. The pianist, composer and arranger was born in Birmingham, AL in 1914 and was living in Chicago at the time. The name change followed an epiphany wherein Blount realized his actual birthplace was the planet of Saturn, and that he had been brought to Earth in order to help mankind through his music. In order to accomplish this goal, the man known today as Sun Ra formed the Sun Ra Arkestra. Wearing their signature quasi-Egyptian space uniforms, this sci-fi big band embarked on one of the most consistent and committed musical journeys ever to begin on American soil, even if their roots originate beyond our planet’s atmosphere. While Sun Ra faced accusations of gimmickry, his catalog of more than 100 albums (many of which were self-released) stands today as one of the most important discographies in jazz. His wholeheartedly-believed interplanetary narrative is a precursor to the Afrofuturism movement that birthed the careers of musicians (George Clinton), novelists (Octavia Butler) and beyond. Sun Ra left the planet in 1993 at the age of 79, but his group has followed in his stead, still working in the same Philadelphia house where their bandleader worked and lived with many of his musicians since the 1970s. Today, the group is led by alto saxophonist Marshall Allen, who anchors the ensemble to their earliest years. Allen joined the Arkestra in 1958 and became the group’s leader in 1995. He is 91, sports a fiery orange beard and an equally incendiary instrumental scream. When not producing his signature peals of shrieking sax, he uses an EVI (electronic valve instrument) to create theremin-like arcs of tone. Fellow saxophonist Knoel Scott acts as a lieutenant to Maestro Allen, leading many of the group’s call-and-response chants. Allen is one of several elder statesman of the Arkestra. Saxophonist Charles Davis joined the group in the late 1950s after playing in bands supporting Billie Holiday, Ben Webster and Dinah Washington. As a senior member of the group, Davis has apparently earned the right to skip out on donning the space regalia at his discretion. Other members of the group date their membership back to the 60s and 70s. It’s easy to see how the Arkestra has retained an enduring roster. Its very existence has always been anomalous for a number of reasons, but today it stands away from the jazz mainstream as a total outlier: a working group that has real fun. A performance by the Arkestra is not a mild affair meant to elicit a museum-like respect for a dead craft; it’s a continuation of jazz’s origins as social music. Despite the group’s well-earned reputation for experimental excursions, each performance is an honest-to-god party, for those onstage as well as the audience. While the group has acted as a magnet for talented and adventurous performers, Sun Ra’s musical vision also emphasized omnivorous inclusion across the spectrum of black sounds, absorbing funk, R&B, free improvisation, gospel and African music into the group’s origins in straight-ahead swing. Because of the group’s decades-old history as an active ensemble, they can perform freaked-out ‘70s psychedelic funk and Ellingtonian big band arrangements with equal authenticity. The Sun Ra Arkestra has nothing to do with either of these pursuits. Like another legendary bandleader and composer, Charles Mingus, the Arkestra represents the chaotic truth of the music. Their wild, noisy presentation feels like a more genuine representation of what big bands might have been like when jazz was truly popular music, before it became “America’s classical music.” In addition to “[traveling] the space-ways,” the Arkestra spans time with equal effortlessness, tethering the 20th and 21st centuries together through sheer experience. Their music illustrates the sublime cohesion that can be achieved through dogged unity, urged on in spirit by their leader in absentia. The highly anticipated Athens performance is being presented by Ideas for Creative Exploration (ICE), an interdisciplinary initiative for advanced research in the arts at the University of Georgia, led by Mark Callahan. In collaboration with cellist and composer Heather McIntosh, Callahan has previously worked to organize the AUX Festival, an experimental music event that echoes the Arkestra’s populist vision for the performing arts. Opening the show will be the Flicker Orchestra, a cross-section of Athens musicians with a rich history of performing alongside silent films. The group’s overlap with the Elephant 6 Recording Company should come as no surprise, as Athens’ longtime homegrown psychedelic collective is highly inspired by the work of the former Herman Blount and his musical followers. Emerging in opposition to the horrors of World War I, Dada was an international anti-war, anti-bourgeois, anti-art movement of artists and poets who largely rejected logic, rationality and the status quo to embrace chaos, nonsense and intuition. The romanticized birthplace of Dada is storied to be Cabaret Voltaire, a nightclub founded by Hugo Ball and Emmy Hennings in Zurich, Switzerland in February 1916 as a nucleus for avant-garde artistic, literary and political activity. 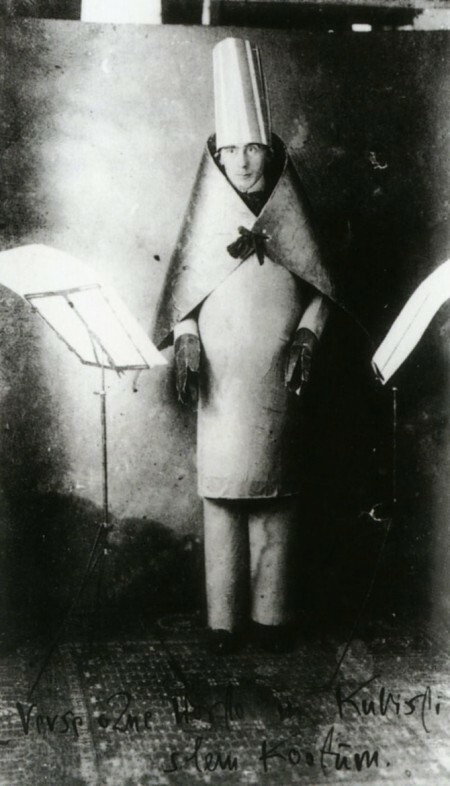 Though Cabaret Voltaire was only operated for less than a year, frequent soirees of radically experimental performances of spoken word, dance and live music—often as absurd and destructive as the war existing outside the doors—served as a precursor for Dadaists who continued to reject traditional aesthetics, instead finding artwork as the medium for expressing social and political dissonance. In celebration of the centennial year of Dada and the ongoing spirit of experimental art, Ideas for Creative Exploration (ICE)—an interdisciplinary initiative for advanced research in the arts at UGA—collaborated with Jed Rasula, Helen S. Lanier Distinguished Professor and head of the department of English, to curate a three-week series of performances themed on the past, present and future. The series uses Rasula’s recently published art history book Destruction Was My Beatrice: Dada and the Unmaking of the Twentieth Century as a resource to connect Dada’s historical milestone to Athens’ own position as a center for experimental art. Flicker Theatre & Bar will be transformed into Cabaret Voltaire 1916 on Thursday, Feb. 11 beginning at 8 p.m. with a presentation by Rasula and a performance by Italian composer and musicologist Luciano Chessa. Rasula became interested in bringing Chessa to Athens after seeing him perform a program of Italian Futurist sound poetry last year at the Guggenheim. Many of the participants at Cabaret Voltaire were aware of Italian Futurists and became heavily influenced by their sound poetry, making Chessa a relevant component to the night’s discourse. David Saltz, executive director of ICE and head of the UGA Theatre and Film Studies Department, will direct students in reenacting a series of Dada performances based on archival research, such as Erik Satie’s “Trois Morceaux en Forme de Poire,” a piano piece for four hands played by Crystal Wu and Emma Lin. The evening will be rounded out with costumes, set design and other surprises directly inspired by those legendary nights of yore. 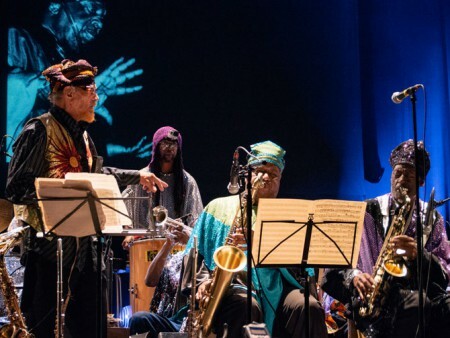 On Thursday, Feb. 18 at 8 p.m., the historic Morton Theatre will host a rare performance by the famed cosmic jazz group Sun Ra Arkestra, currently under the direction of 91-year-old Marshall Allen, who joined the Arkestra in 1958 and led the reed section for more than four decades. Following Sun Ra’s 1993 ascension—space is the place, presumably—the group continued to play his classic big-band compositions alongside Allen’s own arrangements deeply rooted in the spirit of his mentor. Organized by Heather McIntosh, ICE Honorary Fellow and curator of ICE’s AUX event and publishing series devoted to experimental art, the evening will open with the Flicker Orchestra performing live soundtracks to silent films from the Dada era. The Centennial Celebration concludes with a return to Flicker on Thursday, Feb. 25 at 8 p.m. featuring new works by visiting artist Bruce Andrews and live music from Mind Brains. A recently retired professor of political science at Fordham University, Andrews is a New York-based poet and performance artist known as one of the founders of the influential avant-garde “language poetry” movement of the early ‘70s. 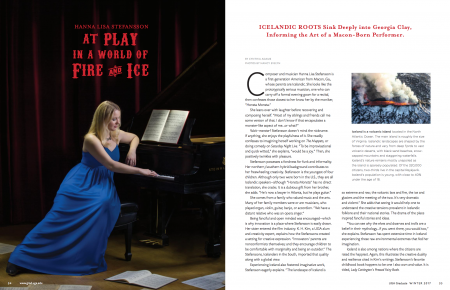 Student contributions include short plays by members of professor John Bray’s playwriting group; an improvisation set by music doctoral student Scott Eggert on a Pythagorean Lambdoma Harmonic Keyboard and local mainstay Killick on a VO-96 fretless acoustic guitar; and electronic compositions by music doctoral students Cody Brookshire and Hanna Lisa Stefansson. During art school, I worked on a project where I bought every product advertised in 24 hours of network television. I learned volumes: among other things, most advertising and marketing is simply a bunch of levers and knobs that are pulled and turned to make emotional connections. I wanted to show the power in manipulating those emotional connections. It was kind of like playing with people in a gallery, trying to come up with ways to get them to engage with each other and make them happy. That was the spark for Look-Listen.